A 24 year old military man born and raised. A 25 year old secretary at the Jewish Community Centre. A chance meeting that would begin a whirlwind 24 years together. A world war, two mobilizations, three depots. A mother and two children left behind in the wake of a tragedy. And so begins their story. 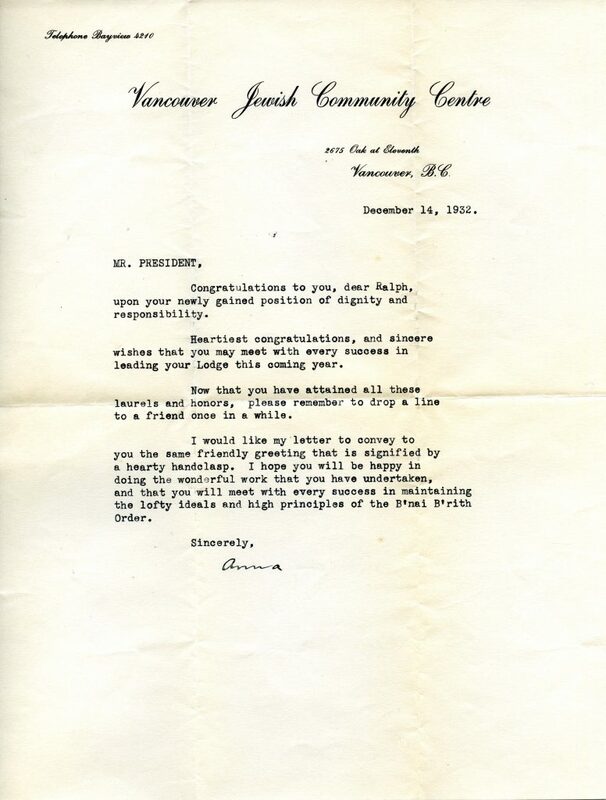 In 1931, Ralph Fromson and Ann Goldberg meet and begin exchanging letters; Ralph and Ann are introduced on one of Ralph’s visits to Vancouver and, while there are no details of their introduction, the “estimable Bertha” seems to have been their much-appreciated matchmaker. Ralph is an active member of the Victoria B’nai B’rith Lodge, where he would later become president. He is also a military man born and bred, his father Eli was a member of the Canadian gunnery division, residing next to the Canadian Forces Military Base and Ordnance Depot in Esquimalt B.C. 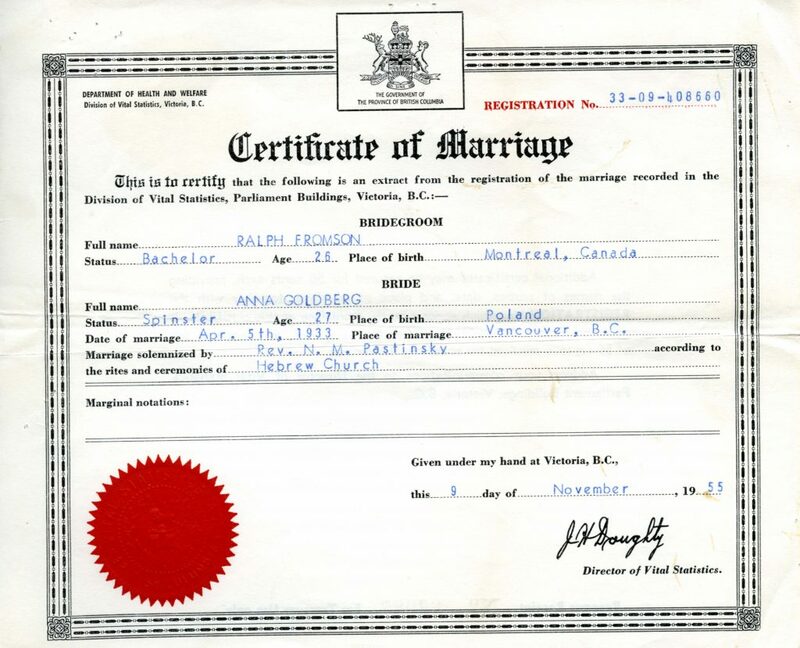 Ann Goldberg is a Vancouverite, and the executive secretary of the Jewish Community Centre. The letters exchanged, and accompanying ferry trips, between Victoria and Vancouver accumulate as their love blossoms. 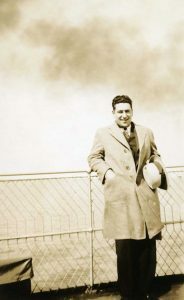 Ralph Fromson standing on the deck of a steamship, . 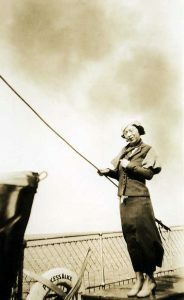 Ann Fromson standing on the deck of a steamship, . 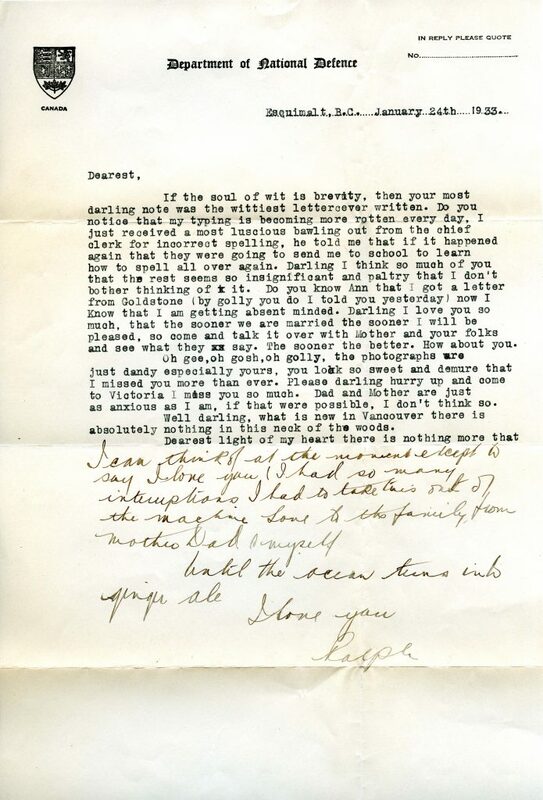 Letters exchanged between Ralph Fromson and Ann Goldberg, 1931-1933. 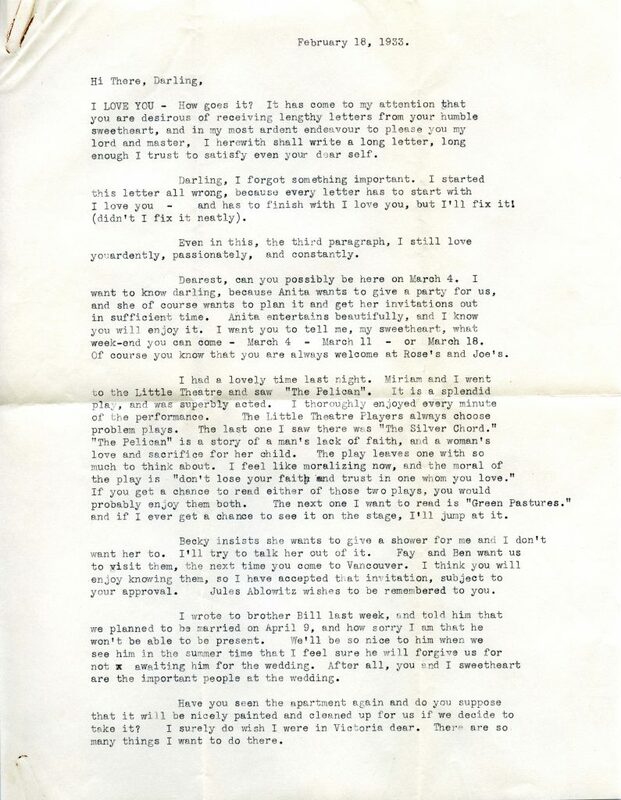 Click image above to read the complete letter or the following link for the full archival record. 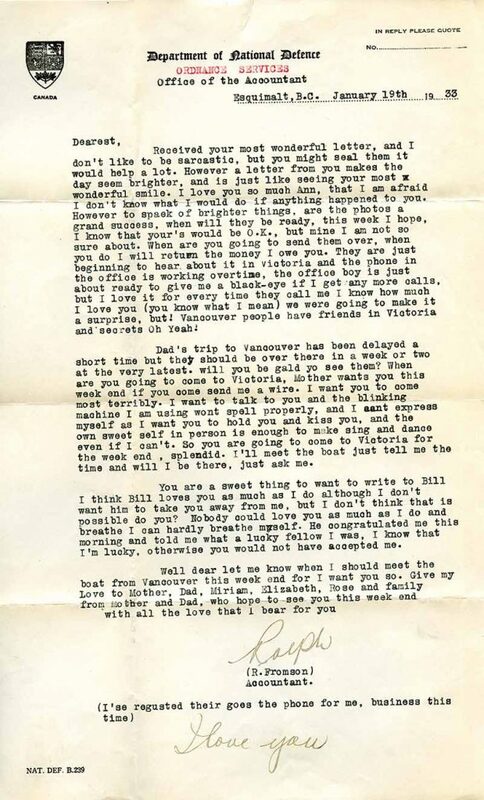 Ralph sheepishly writes Ann a very delayed letter, 10 whole weeks!, exclaiming that he “feel[s] like the very devil” for not having written her a reply sooner; he makes the excuse that he is very busy at work and that is why it took him so long to reply. Ralph hopes that Ann will not keep him waiting as long for a reply as he left her. 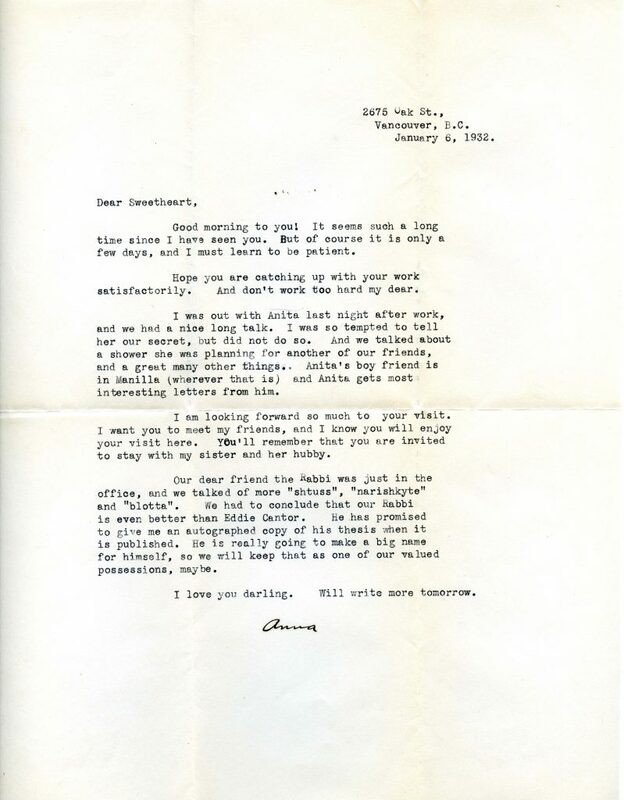 Ann pokes fun at how long it takes Ralph to reply to her letters; she writes, “[w]ould you believe it! 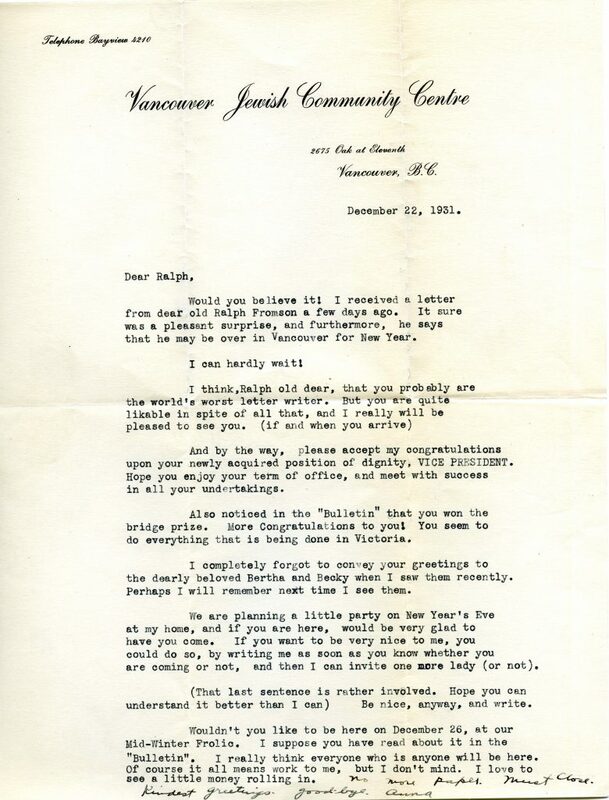 I received a letter from dear old Ralph Fromson a few days ago.” Ann also congratulates Ralph on his newly achieved position of Vice President of the Victoria B’nai B’rith Lodge and for winning the local bridge prize. She ends her letter by inviting Ralph to a New Year’s party that she is hosting, writing that she “would be very glad” to have him come. Ralph and Ann exchange telegrams rarely: only when they need to send word last minute or have urgent news to share. 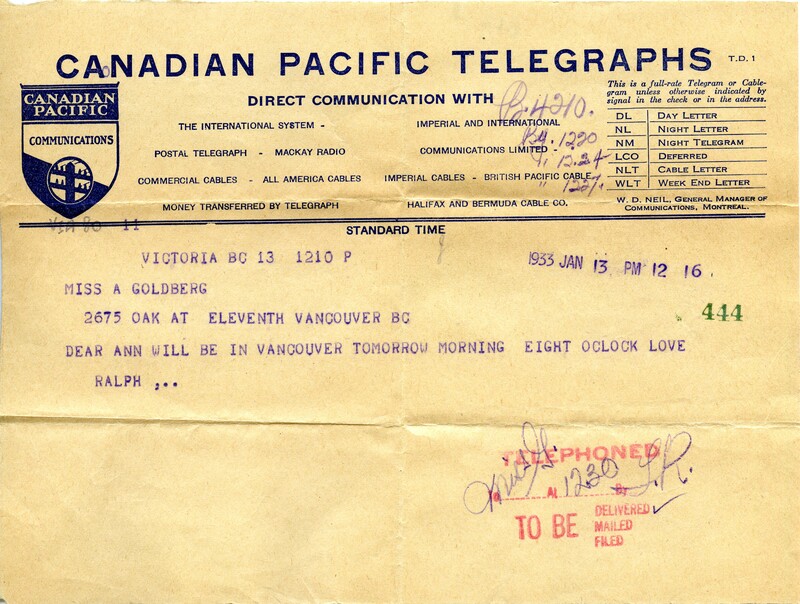 In this telegram Ralph notifies Ann that he will be in Vancouver to visit her the following morning, implying that he hopes that she will come meet him at the boat. The telegram is adorned with a stamp in the bottom left corner noting that the telegram was telephoned in and is to be delivered for quick receipt. Ann reports that she has taken to heart Ralph’s advice not to work too hard. She playfully writes that “I am really neglecting my work in the most unbecoming manner, and am not even worrying about it. Maybe I’ll gain those five pounds that I lost last month, and then you’ll have a fat lady on your hands – horrors!” Ann also asks Ralph for a photograph so she might use her “influence” to get their pictures and news of their engagement into the “Bulletin”. Click image above to read the complete announcement or the following link for the full archival record. As promised in her previous letter, Ann manages to get their pictures into the paper. On page 3 of Vol 3. No. 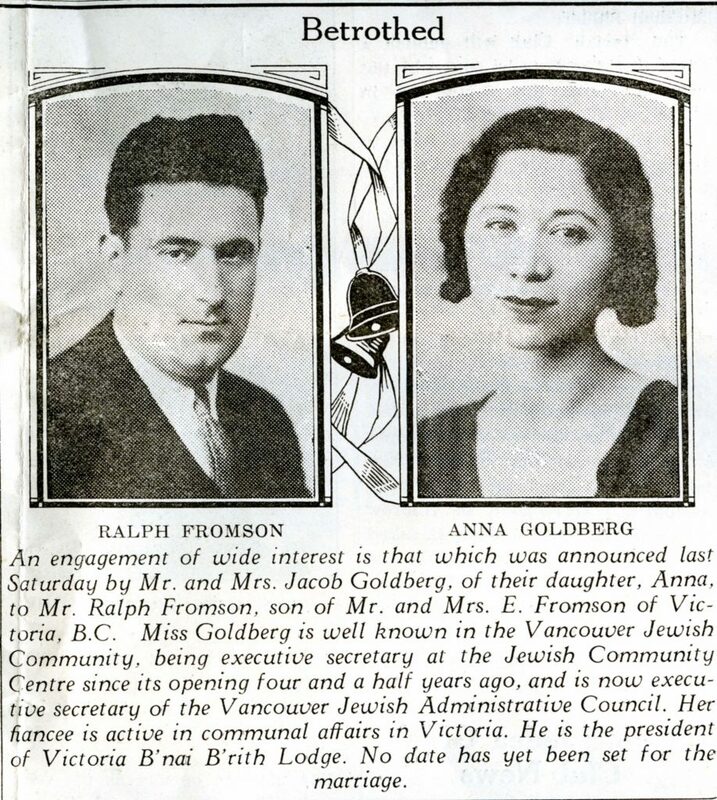 41 of the Jewish Western Bulletin, published on January 19, 1933, under the Special and Club News section, is an excerpt announcing Ralph and Ann’s engagement. The excerpt names their betrothal “an engagement of wide interest” as they are both very active members in the local Jewish community. 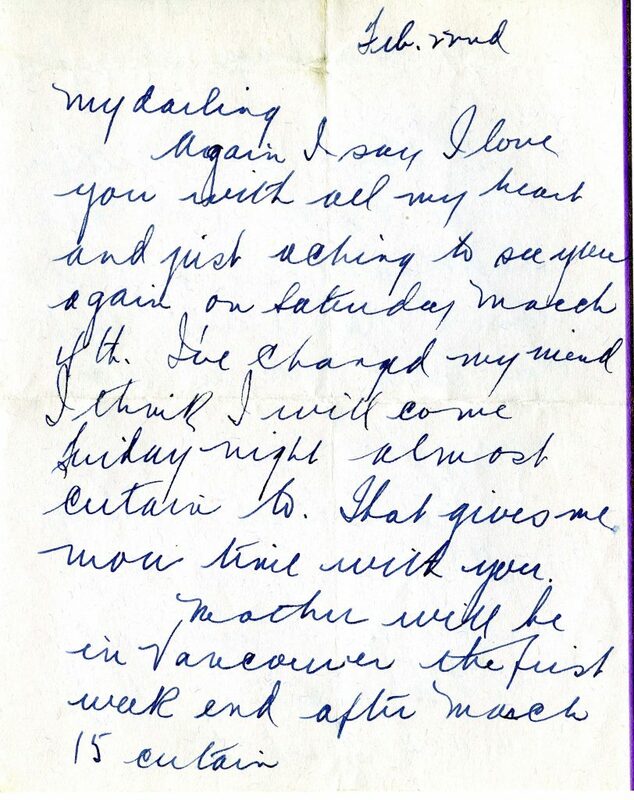 Ralph writes Ann, on stationary from work, that he is so preoccupied with thinking of her that his work is really taking a beating for it. He writes that he “just received the most luscious bawling out from the chief clerk for incorrect spelling, he told me that if it happened again that they were going to send me to school to learn to spell all over again.” Ralph also adds that “the photographs [in the paper] are just dandy”, adding that her picture looks particularly lovely. Ann writes Ralph a letter while on the boat trip back to Vancouver; she is making the journey back early in order to prepare for the wedding. In her letter, Ann divulges that she is getting pre-wedding jitters, and will be glad to get the wedding over with and settle into married life. The couple eventually marry on April 5th 1933, and settle in Victoria where they have two children: Elaine and Teddy. Their story would be far from over. 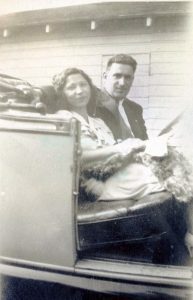 Ralph Fromson and Ann Goldberg were married by Rev. 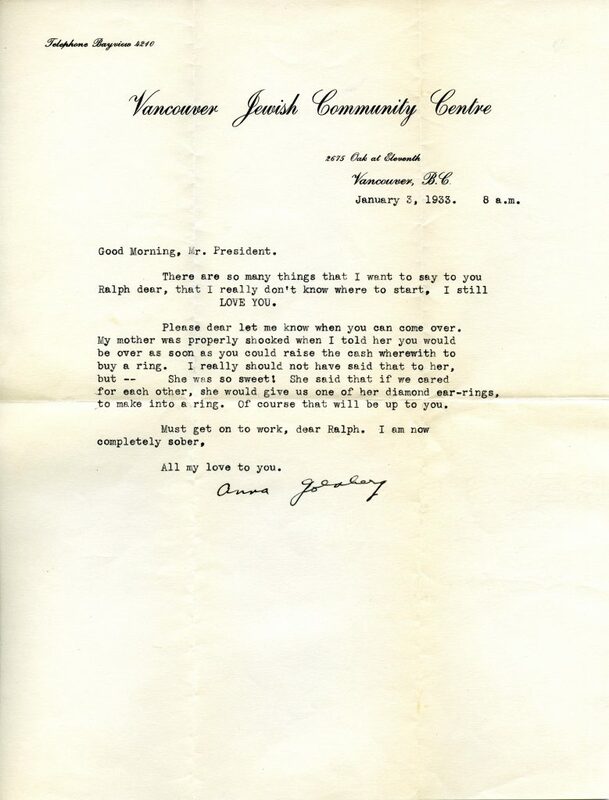 N.M. Patinsky on April 5th 1933, at a Hebrew Church in Vancouver. Ralph was 26 years old, and Ann was 27. Click image above to read the complete document or the following link for the full archival record. Newlyweds Ann and Ralph Fromson, . Fromson family portrait. Top row is Elaine Fromson and Teddy Fromson (L to R), while the bottom row is Ann Fromson (nee Goldberg) and Ralph Fromson (L to R), [1946-1955]. 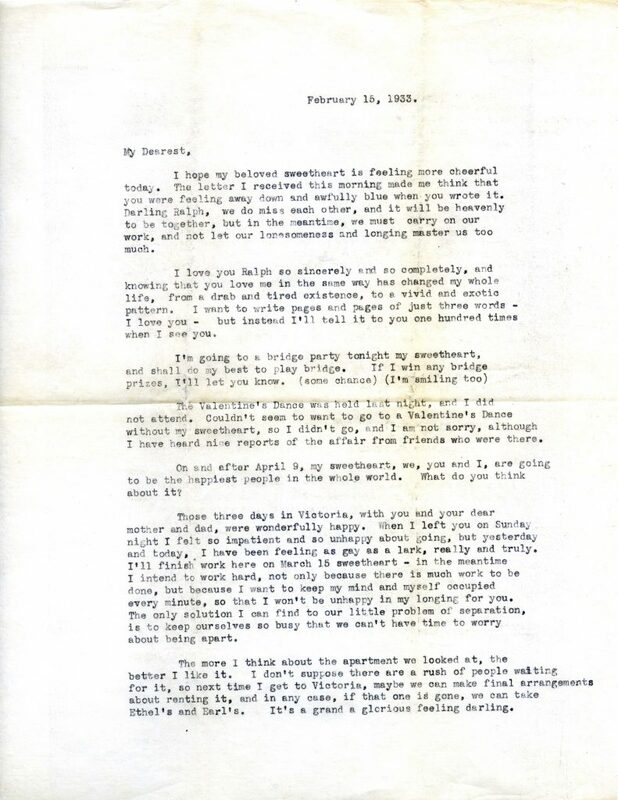 Ralph & Ann’s letters resume from 1942-1946 when Ralph, an officer in the Canadian Army (Royal Canadian Ordnance Corps), is sent to Regina, Saskatchewan. 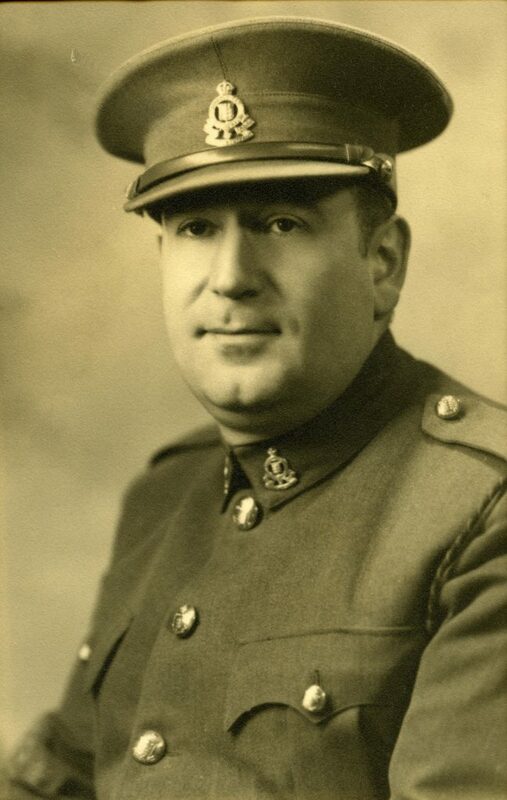 Photograph depicts Ralph in military uniform, [1942-1946]. Ralph Fromson joined the Royal Canadian Ordnance Corps (R.C.O.C), a division of the Canadian Army, in 1924 at the age of 16. The R.C.O.C. was concerned with providing the troops with the equipment to fight; they provided artillery, uniforms, and various other types of weapons and equipment. Ralph carried out his duties at the Reserve Ordnance Stores building In Signal Hill, Esquimalt until 1942, when the No. 12 Ordnance Depot at which he worked was mobilized in Regina. At this time, Ralph is promoted to the position of Staff Conductor with the rank of Warrant Officer Class One (WO1), and acts as the “foreman” at the Ordnance Depot. Between 1942 and 1946 Ralph carries out his duties as a Warrant Officer of the First Class in the R.C.O.C. at the Ordnance Depot and military base located in Regina. 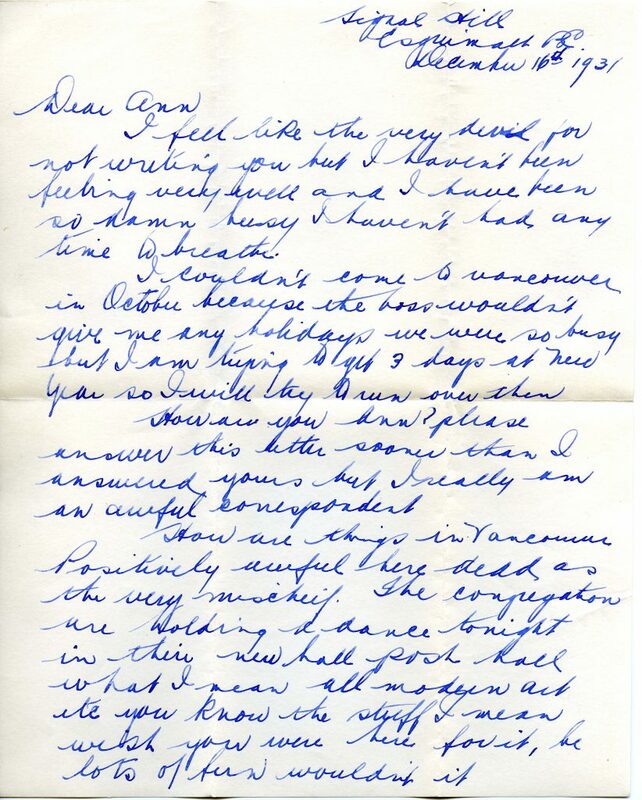 He sends letters back home to Ann and the kids, and for this set of letters we have only Ralph’s perspective. 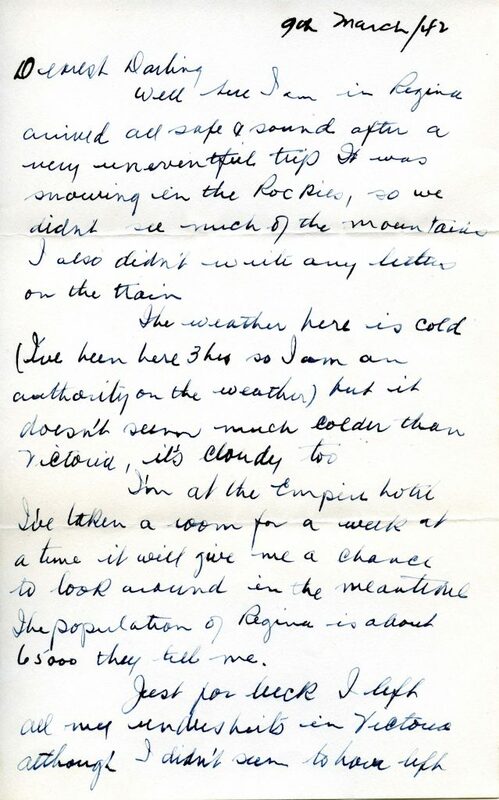 Upon arriving in Regina, Ralph sends his first letter to Ann to let her know that he has arrived safely, and to give an account of his journey over. In it he remarks on the weather in Regina, and then in brackets humorously remarks that “I’ve been here 3 hrs so I am an authority on the weather.” He also adds that he has (accidentally) left all of his undershirts at home “just for luck”, but “didn’t seem to have left anything else.” Ralph notes that he recognizes several of the other officers here in Regina, so he is certain that he should get on fine. 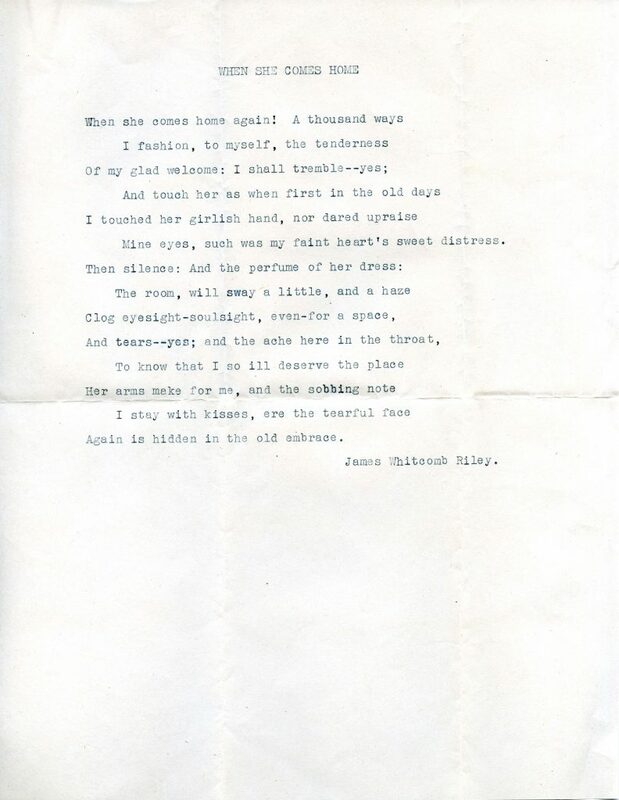 In this letter to Ann, Ralph encloses a poem by James Whitcomb Riley titled “When She Comes Home”; he feels that it expresses his feelings for her better than he ever could. Ralph is counting down the days until Ann, and eventually the kids, move to Regina to live there with him for the duration of the war. 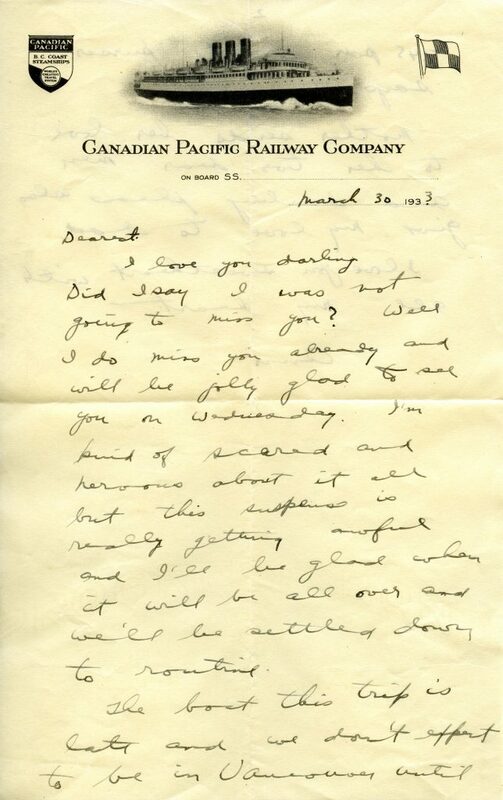 The family does eventually move to Regina later that year, and the letters once again cease, not to resume until 1946. 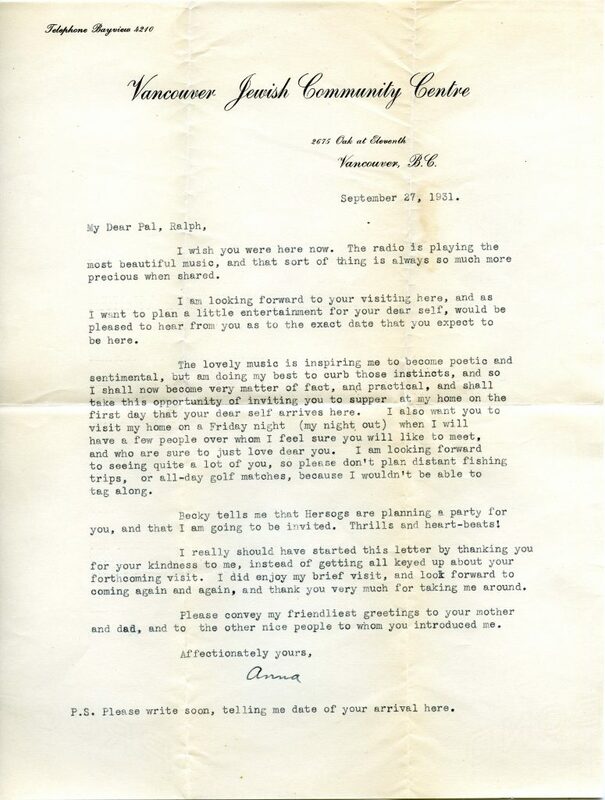 The letters to Ann resume in 1946, when Ann and the kids move back to Vancouver, and Ralph hopes to be discharged and join them soon; he is now almost 40 and, he feels, is getting too old for the army. 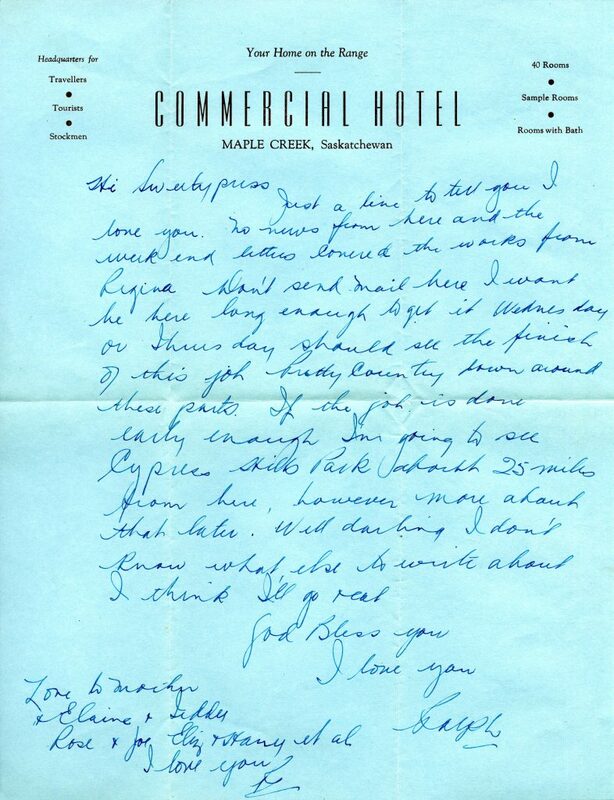 Ralph writes Ann a letter from the Commercial Hotel, letting her know that he has arrived safely in Maple Creek. In WWII Maple Creek was home to an army training camp and Ordnance Depot, as was Regina, so it is likely army business that brought Ralph there. Ralph is just writing a quick note to tell Ann that he loves her, but tells her not to bother to write him there as he hopes to be finished the job here, and back in Regina, very soon. 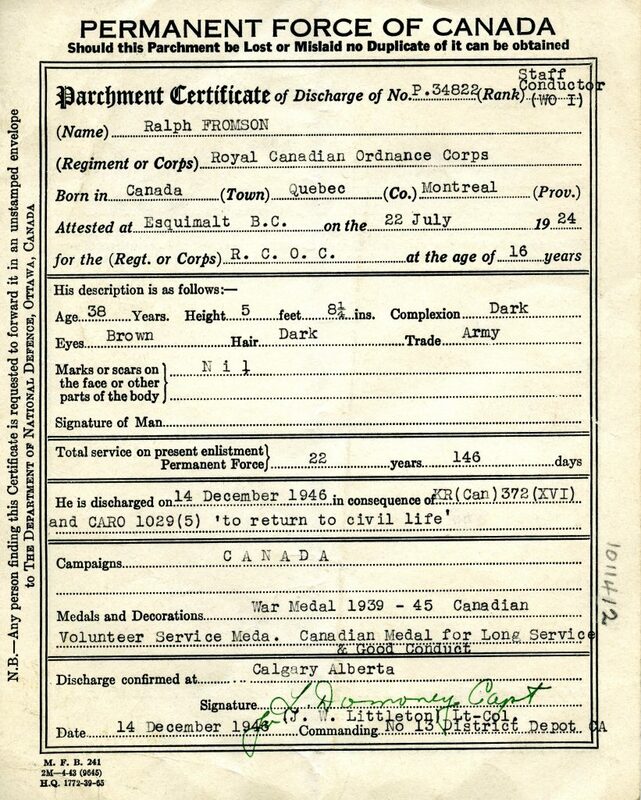 On December 14, 1946 Ralph is issued his official certificate of discharge from the National Department of Defense, and returns to civilian life and his family in Vancouver . Ann and Ralph Fromson, [1937-1942]. Tragically, Ralph Fromson passed away suddenly on October 25, 1955, at the age of 47. Though their life together was cut short these letters show their mutual sense of humour and affection for each other. 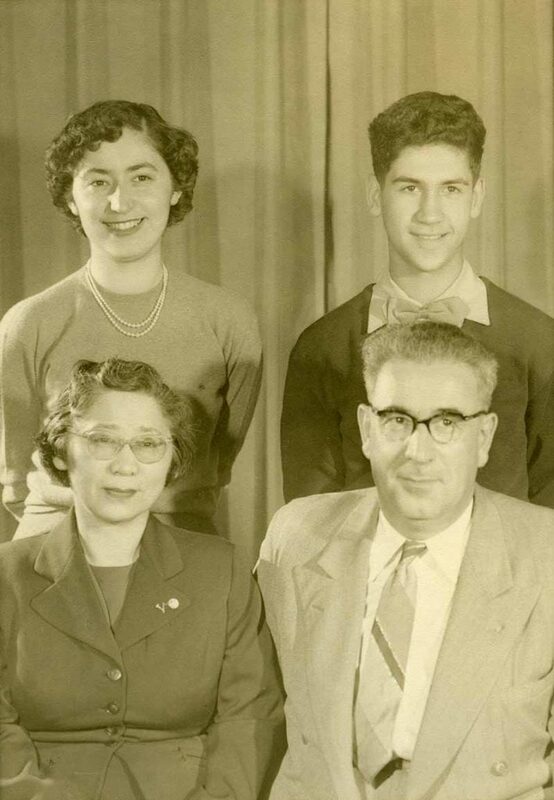 Ann and Ralph were both involved with B’nai B’rith during their time together, a tradition which Ann continued after his death, eventually becoming Sisterhood president. Ann would also be awarded a lifetime membership in Hadassah-WIZO in 1970. Elaine would continue this tradition in B’nai B’rith Girls, and the family was involved in Congregation Beth Israel for many years. On April1 16th 1975, almost twenty years after Ralph’s passing, Ann Fromson remarried. This time she married a gentleman named Martin Muskovitch, who, likewise, was a widower. Both in their seventies, Ann and Martin were lucky enough to live out the rest of their lives together. 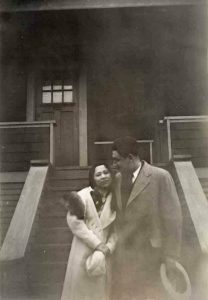 Ralph & Ann’s daughter Elaine, a professor at Yale University, married Joe Glass, while their son Teddy married Jill Cardy. 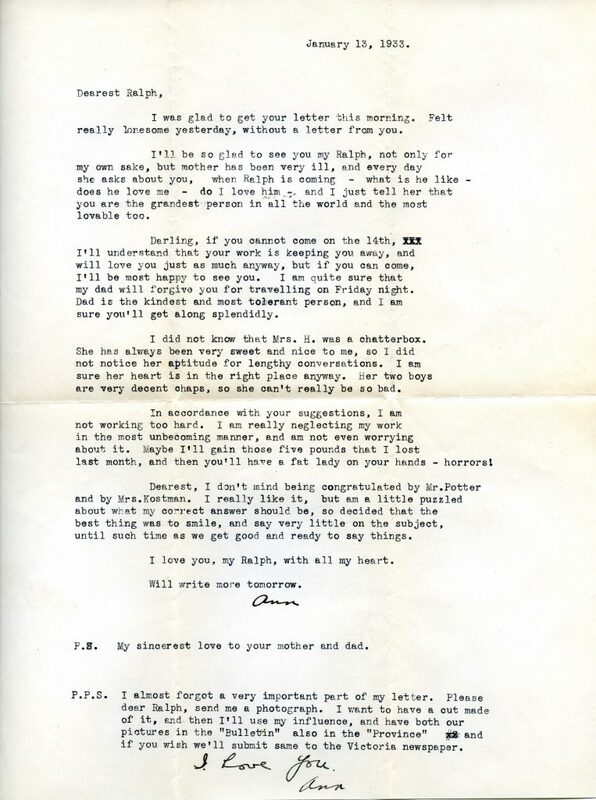 This collection of letters is a testament to their love more than 80 years after they first met. 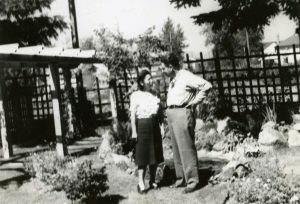 The collection was donated to the Jewish Museum and Archives of British Columbia in 2016 by Teddy Fromson, who wanted to preserve his parents’ love and memories forever. 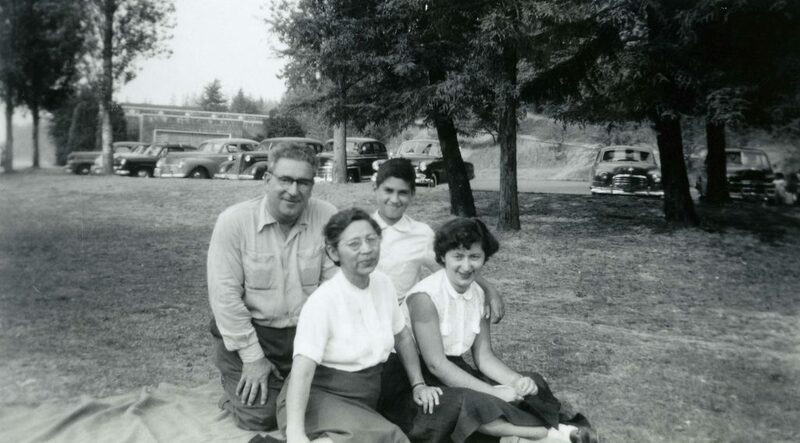 Fromson family at the park, [1945-1955]. This project has been made possible by the BC History Digitization program. 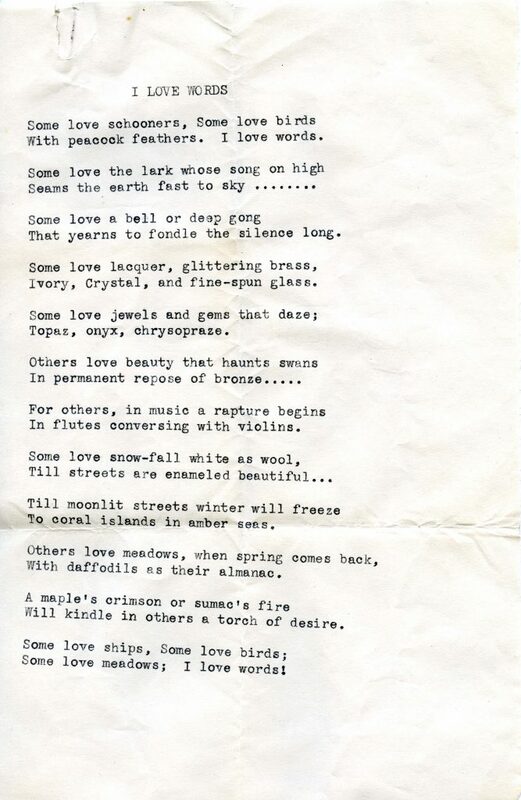 The Fromson Family fonds was digitized by Alexa Barran under the supervision of archivist Alysa Routtenberg. This exhibit was guided by Alysa Routtenberg and Michael Schwartz.